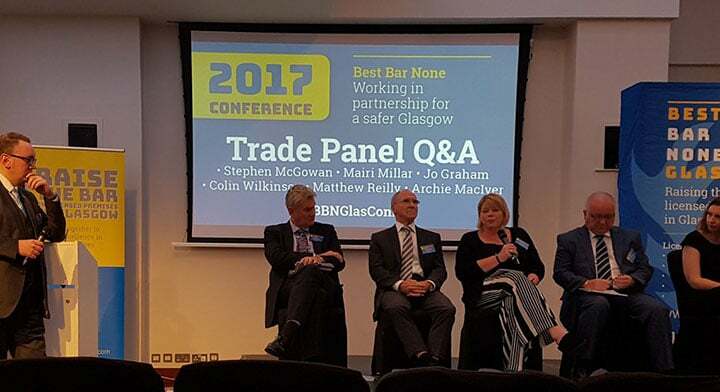 On Tuesday 3rd October, around 200 delegates attended the Best Bar None Glasgow’s Raise the Bar event at the Radisson Blu Hotel. 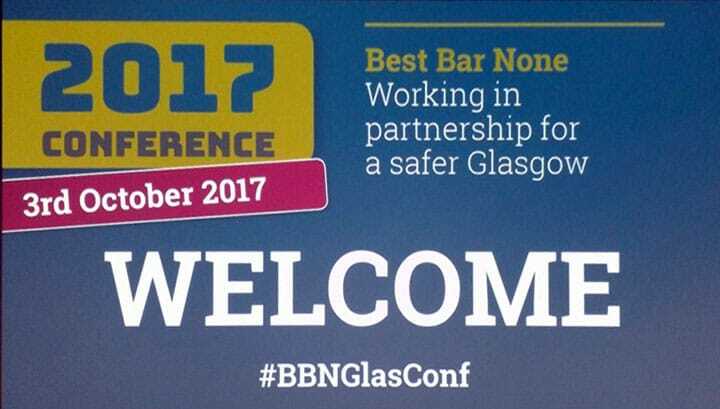 Best Bar None Glasgow was developed in partnership with Glasgow City Alcohol and Drugs Partnership, Glasgow City Council, Community Safety Glasgow, Police Scotland, Scottish Fire and Rescue and the Scottish Late Night Operators Association. Glasgow’s Best Bar None organises regular training seminars in conjunction with the Tennent’s Academy for venues on topics such as stewarding, crime scene preservation, drug prevention, responsible drinking and recognising/protecting vulnerable people. Following a welcome by Councillor Susan Aitken, Leader of Glasgow City Council, delegates were also addressed by Annabelle Ewing, the Scottish Government Minister for Community Safety and Legal Affairs and Mandy Haeburn-Little, CEO of the Scottish Business Resilience Centre. The first industry-only Licensing Conference also offered a host of licensed premises across Glasgow, an opportunity to engage with the experts in a question and answer session. The panel included BII Scotland, the Scottish Licensed Trade Association, Glasgow City Council’s licensing department and included specialist licensing solicitors.